Published by Collins 14 St. James's Place, London First Edition 1935. London 1935. 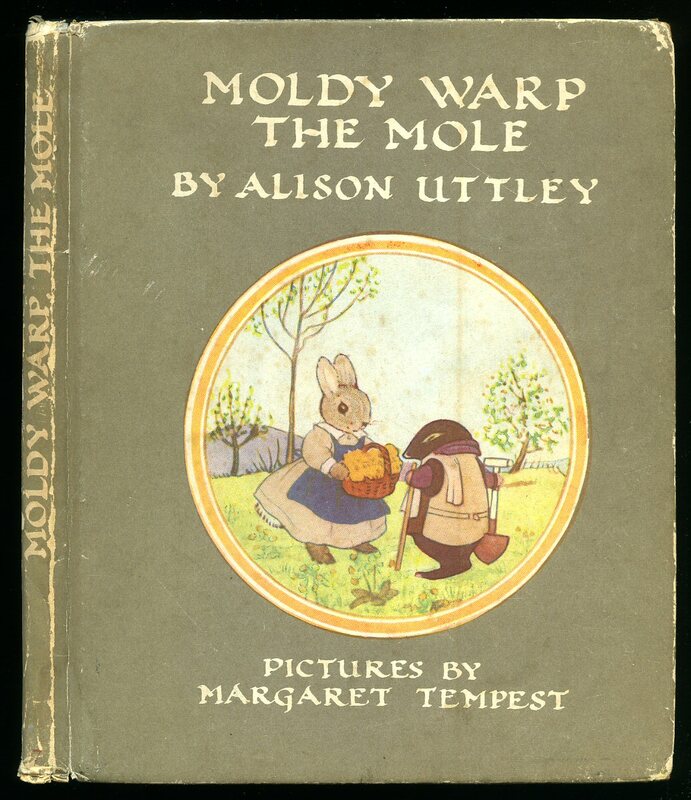 First edition in publisher's original colour illustrated lemon paper covers, green illustrated end papers, dark maroon lettering to the spine and front cover. 8vo 7'' x 5'' 108 pp. 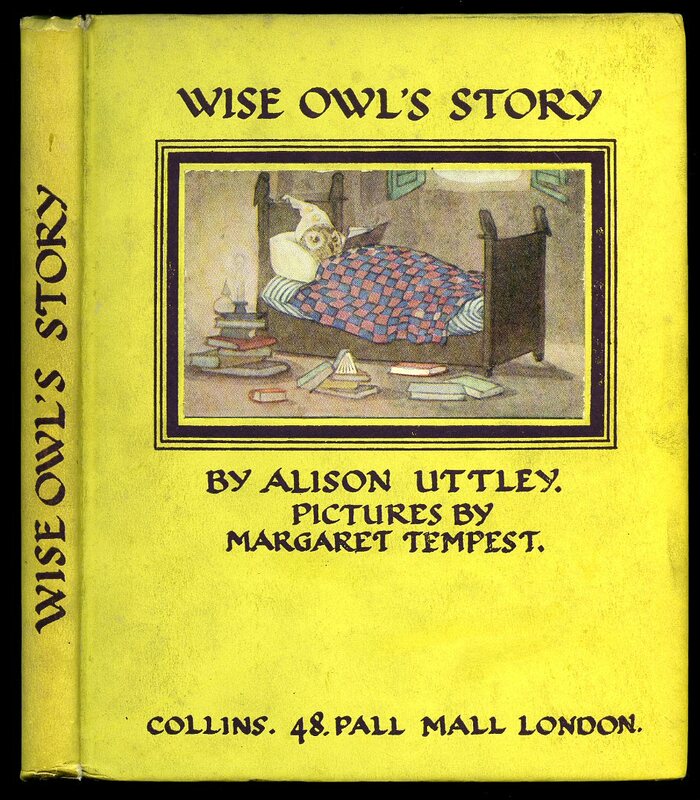 Colour illustrations throughout. 30 mm piece of paper missing to the foot of the spine, very light soiling to the pale lemon paper covers, without any foxing and in Very Good condition, no dust wrapper. Member of the P.B.F.A. Published by Collins 14 St. James's Place, London Ninth Impression 1955 [First edition 1940]. London 1955. 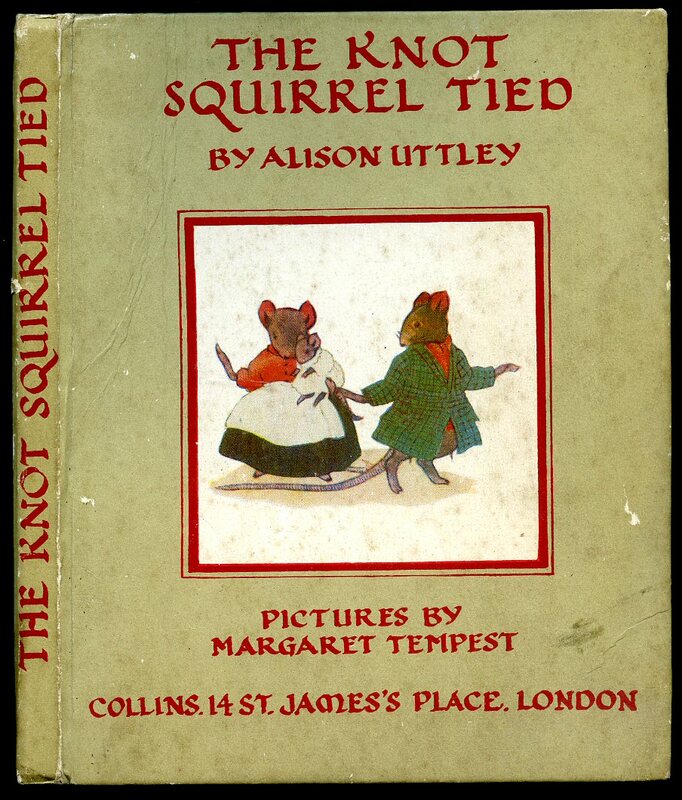 Hard back binding in publisher's original colour illustrated paper covers, illustrated end papers. 8vo 7" x 5½" 94 pp. Colour illustrations to most pages. Small rubs to spine tips and corners, small pencil letters to the end papers and in Very Good condition, binding firm, no dust wrapper. Member of the P.B.F.A. 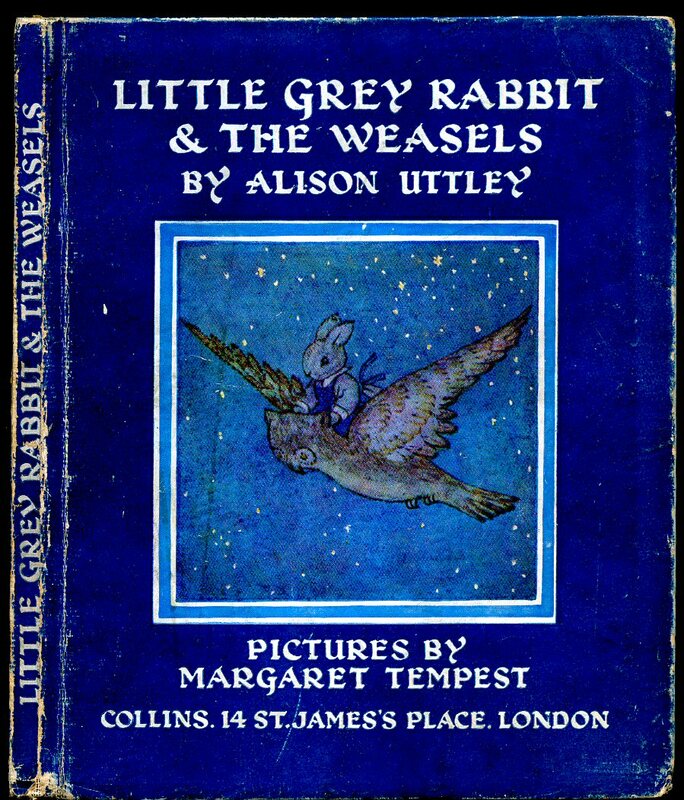 First Edition hard back binding in publisher's original navy blue paper covered boards, white lettering to the spine and the upper panel, colour illustration to the upper panel, illustrated end papers. 8vo. 7'' x 5½''. Contains 80 printed pages of text with splendid colour illustrations throughout. Light rubbing to the spine tips and edges, lengthy ink dedication to the verso of the front free end paper and in Very Good condition, no dust wrapper. We currently hold in stock 30 other titles by this author. Member of the P.B.F.A. Published by Collins 48 Pall Mall, London First Edition 1942. 1942. 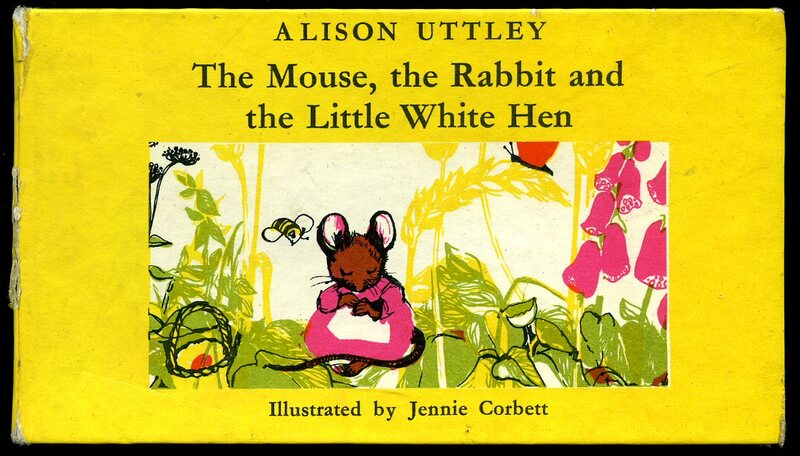 First edition hard back binding in publisher's original colour illustrated paper covers. 8vo 7" x 5½" 84 pp. Full-page colour illustrations to most pages. Paper to spine missing, cracking of paper to end papers, no dust wrapper. Member of the P.B.F.A. Collins 14 St. James's Place, London Seventh edition 1949. 1949. 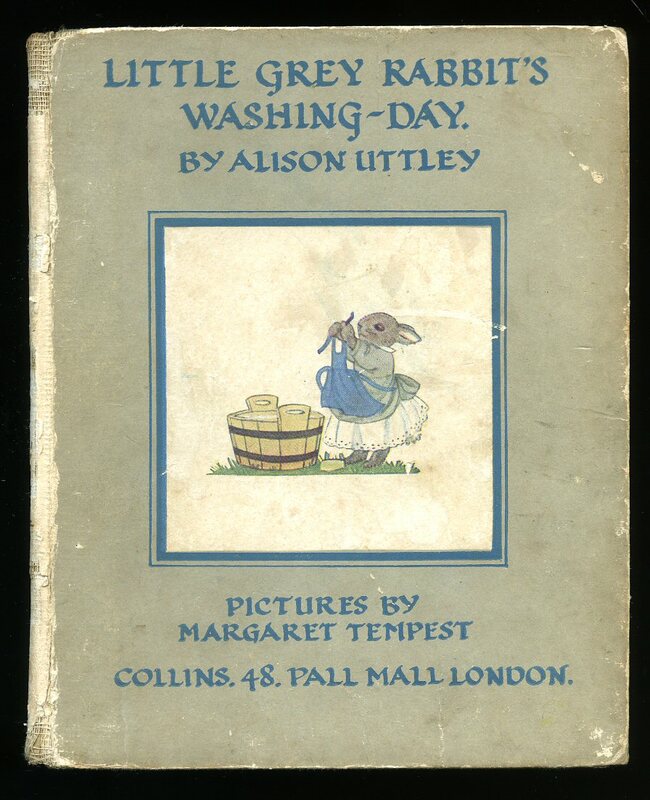 Hard back binding in publisher's original grey paper covered boards, maroon lettering to the spine and the upper panel, colour illustration to the upper panel, illustrated end papers. 8vo. 7'' x 5½''. Contains 102 printed pages of text with splendid colour illustrations throughout. Light rubbing to the spine tips and edges, small ink ownership name and in Very Good condition, no dust wrapper. We currently hold in stock 30 other titles by this author. Member of the P.B.F.A. Published by Collins 14 St. James's Place, London Tenth Impression 1969 [First Edition 1943]. London 1969. 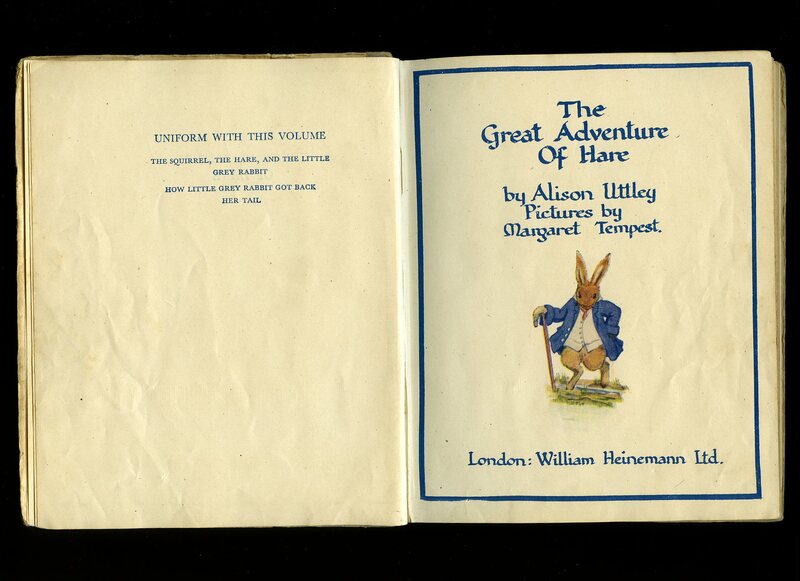 Hard back binding in publisher's original illustrated paper covers, illustrated end papers. 7'' x 5½'' 64 printed pages of text. Splendid full page colour illustrations. In Very Good clean condition, no dust wrapper. Member of the P.B.F.A. Published by Collins 48 Pall Mall, London Fifth Impression September 1946. London 1946. Published by Faber and Faber Ltd., 24 Russell Square London 1945. London 1945. Hard back binding in publisher's original chestnut brown cloth covers, gilt title and author lettering to the spine. 8vo. 7½'' x 5½''. Contains 130 printed pages of text. Spine ends turned-in and in Very Good condition, no dust wrapper. 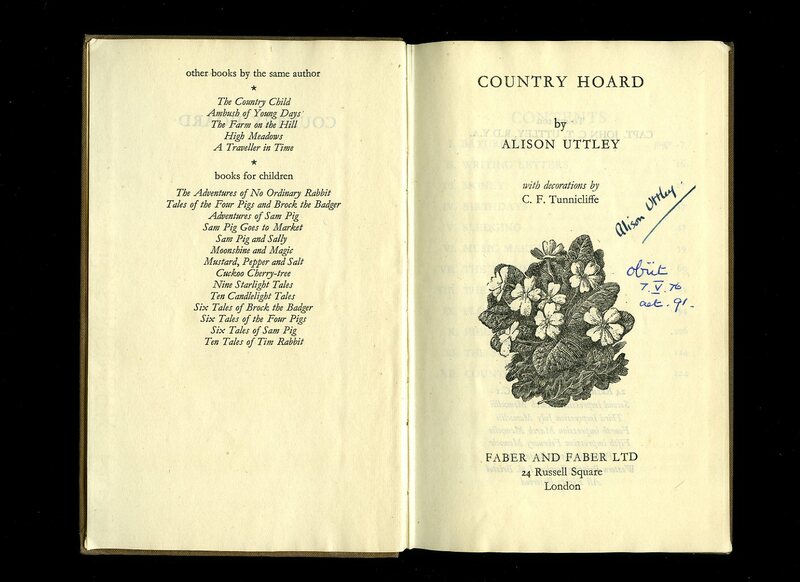 SIGNED by the author to the title page 'Alison Uttley' with small Latin text beneath. Member of the P.B.F.A. Published by William Heinemann Limited, London First Edition 1966. London 1966. 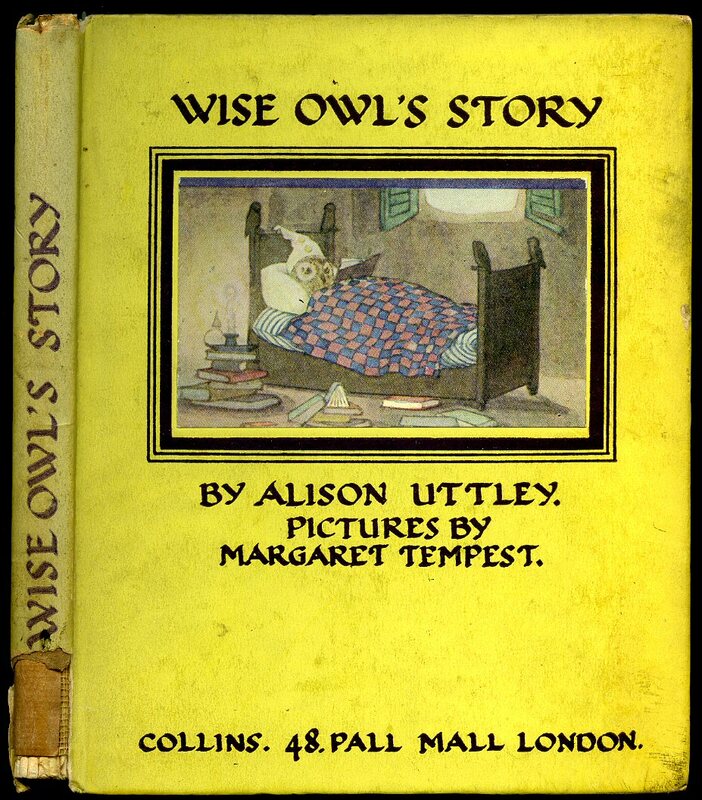 First edition hard back binding in publisher's original colour illustrated yellow boards, illustrated end papers. Landscape 4'' x 7''. Contains 56 printed pages of text with colour and monochrome illustrations throughout. A little blistering of the paper to the upper spine edge, without any ownership markings and in Very Good condition, no dust wrapper. We currently hold in stock 30 other titles by this author. Member of the P.B.F.A. Published by William Heinemann Ltd., London January 1944 Reprinted Edition. London 1944. 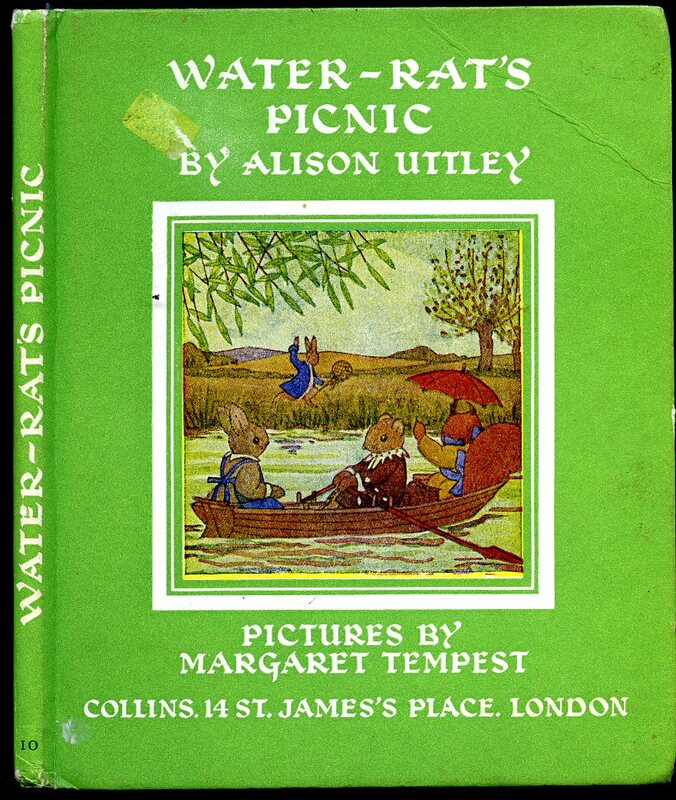 Hard back binding in publisher's original worn paper covered boards, blue cloth spine, circular colour illustration to the upper panel, green tinted illustrated end papers. 8vo. 7'' x 5''. Contains 107 printed pages of text with splendid colour illustrations throughout. Working or reading condition copy with piece of card covering material missing to the lower board and fraying of the cloth to the lower spine edge, contents Good, no dust wrapper. We currently hold in stock 30 other titles by this author. Member of the P.B.F.A. Published by Michael Joseph Ltd., 27 Wrights Lane, London First Edition 1986. London 1986. Published by Collins, 48 Pall Mall, London First Edition 1936. London 1936. 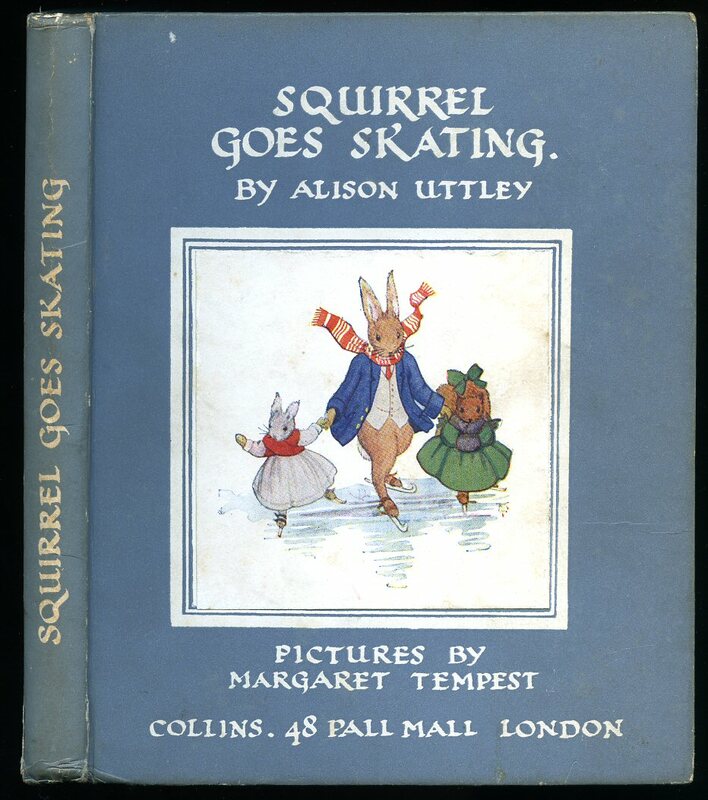 First edition hard back binding in publisher's original stone grey paper covered boards, powder blue lettering to the spine and the upper panel, square colour onlay illustration to the upper panel, green illustrated end papers. 8vo. 7'' x 5½''. Contains 112 printed pages of text with splendid colour illustrations throughout. A couple of fox spots to the fore edge, tiny bump to the top of the spine, corners just turned-in, spine not faded and in Very Good clean and fresh condition, no dust wrapper, super copy. We currently hold in stock 40 other titles by this author. Member of the P.B.F.A. Published by Collins 48 Pall Mall, London First Edition 1935. London 1935. 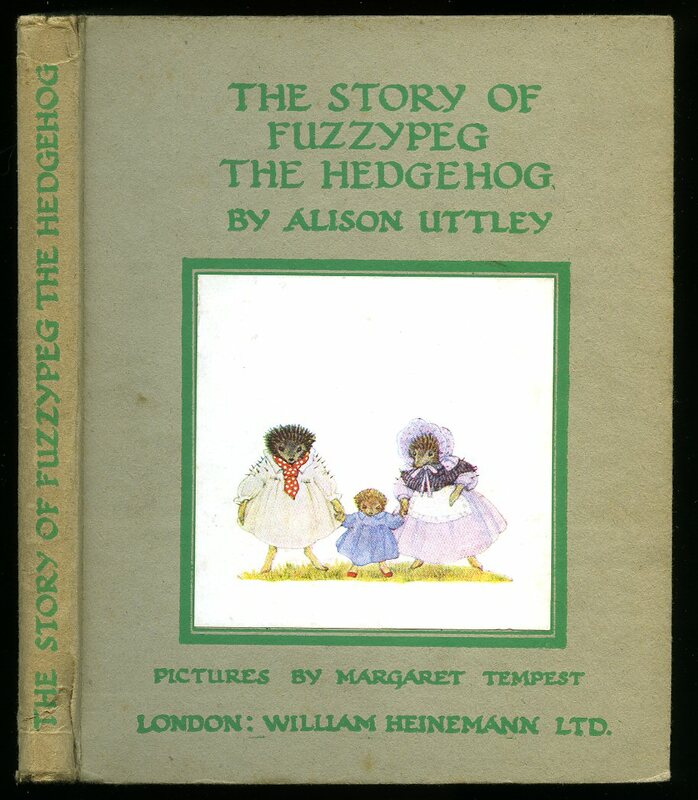 First Edition hard back binding in publisher's original banana yellow paper covered boards, brown lettering to the spine and the upper panel, square colour onlay illustration to the upper panel, green illustrated end papers. 8vo. 7'' x 5½''. Contains 109 printed pages of text with splendid colour illustrations throughout. Light rubbing to the spine tips and edges, couple of fox spots to the page edges, spine not faded and in Very Good clean and fresh condition, no dust wrapper. We currently hold in stock 40 other titles by this author. Member of the P.B.F.A. Published by Collins, 48 Pall Mall, London First Edition 1934. London 1934. 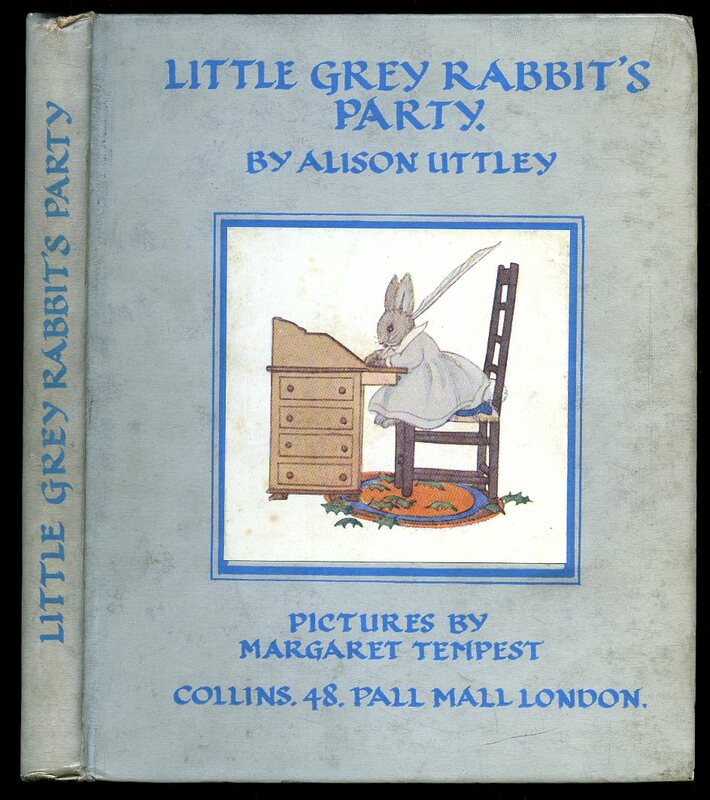 First edition hard back binding in publisher's original slate grey paper covered boards, white lettering to the spine and the upper panel, square colour onlay illustration to the upper panel, grey illustrated end papers. 8vo. 7'' x 5½''. Contains 105 printed pages of text with splendid colour illustrations throughout. Just a little rubbing of the paper to the spine tips, a little foxing to the fore edge, ink name opposite the copyright page, spine not faded and in Very Good clean and fresh condition, no dust wrapper. We currently hold in stock 40 other titles by this author. Member of the P.B.F.A. Published by William Heinemann Ltd., London Second Edition 1936 [First Edition 1932]. London 1936. 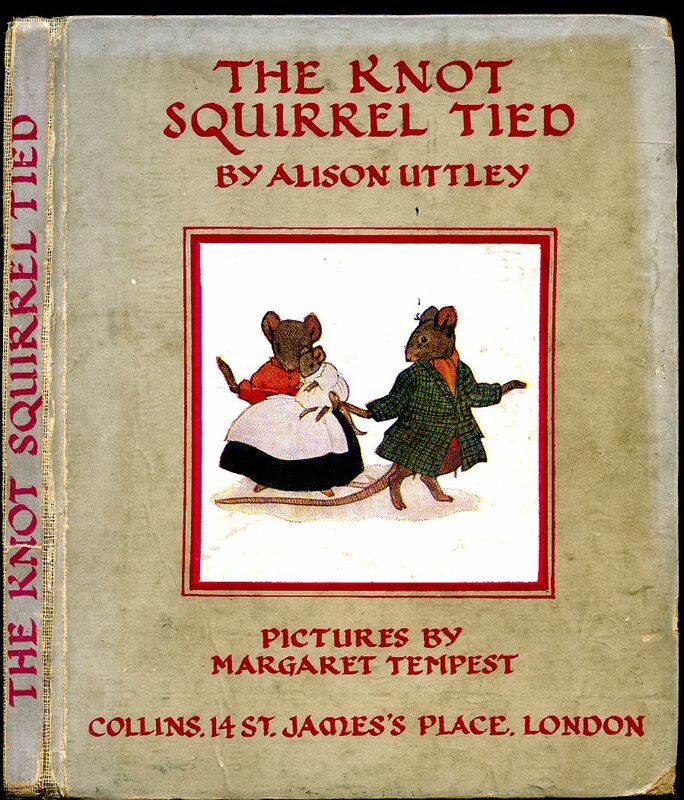 Hard back binding in publisher's original grey paper covered boards, lime green lettering to the spine and the upper panel, square colour onlay illustration to the upper panel, illustrated end papers. 8vo. 7'' x 5½''. 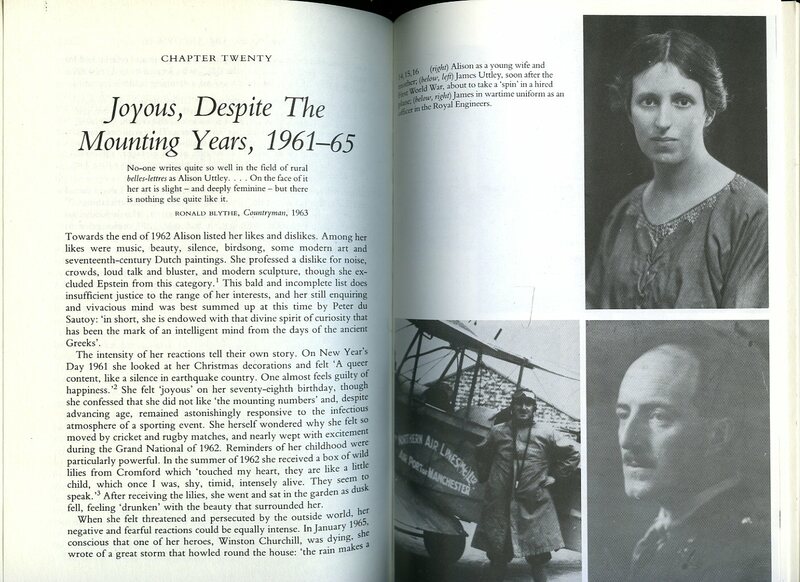 Contains 98 printed pages of text with splendid colour illustrations throughout. Just a little crushing of the paper to the foot of the spine, corners sharp and in Very Good clean and fresh condition, no dust wrapper. We currently hold in stock 40 other titles by this author. Member of the P.B.F.A.